The good news for those of you who have no interest in tracking calories is you can create a calorie deficit without having to track calories. You’ll still be able to achieve impressive results without tracking, but you’ll need guidelines and methods to follow. The methods we’re discussing in this blog are all based ways for you to lose weight without having to track calories. I encourage you to experiment with the different methods to see which will be the best fit for you as an individual as some will work better than others. Let’s dive into these methods so you can get a jump start on your weight loss goals today. Fasting can be a great way for you to compress the amount of food you eat into a smaller time frame of the day or have lower calorie days. Fasting allows you to naturally eat less without tracking because your purposely restricting food for certain periods of time, then eating normally the remaining time or days. The caveat to this is to make sure you’re not overeating when you do break the fast, as this is a common issue with some people who fast. As a quick side not I’ve found longer fasts above 12-14 hours to not work as well for women and actually can do a lot more harm than good in many cases. I’m not saying no woman should ever fast, but be careful of the time spent fasting and frequency you’re doing it throughout the week if you’re a woman who’s looking to use it for fat loss. Next we’re going to cover the different methods of fasting that you can use to lose weight without tracking calories. One of the most common ways you can get started with fasting is to simply skip breakfast, and have coffee and water in the morning. With this method you make lunch your first meal of the day, and continue eating with your normal eating pattern after lunch. Don’t worry there is absolutely no good evidence or studies to support that breakfast is the most important meal of the day, and your metabolism will not slow down either. Skipping breakfast is however an easy way to reduce your calorie intake without giving it any active thought. change, have black coffee or any regular calorie free caffeinated drink, or chew some gum. This style of fasting was popularized and brought to the mainstream by Martin Berkhan. It’s the most popular, and successful fasting protocol for weight loss. With Leangains, you fast for 16 hours each day, and then consume all your food in an 8-hour window – it’s a more structured version of skipping breakfast. Similar to skipping breakfast, lunch will be your first meal of the day around 11am-12pm and then you’d eat normally and cut off your eating at 7-8pm at night. Fasting for 16 hours, and then having a window of 8 hours where you’re eating all your food for the day. This is a pretty easy fasting method and doesn’t really disrupt your social life. For those who have never been breakfast fans, it can work very well. With the ADF method you incorporate two non-consecutive days where you’d eat significantly less than normal. Alternate day fasting was first popularized by the 5:2 diet, where you’d focus on leafy greens and protein during the fasting days. With the 5:2 diet you’d eat 25% of the calories that you’d normally consume on a daily basis for the two lower days. Outside of the two days where you’re fasting you would eat a normal diet, and you’d want to make sure not over consume food the following days. That could easily undo the two days with lower calories if you overdo it the other days of the week. 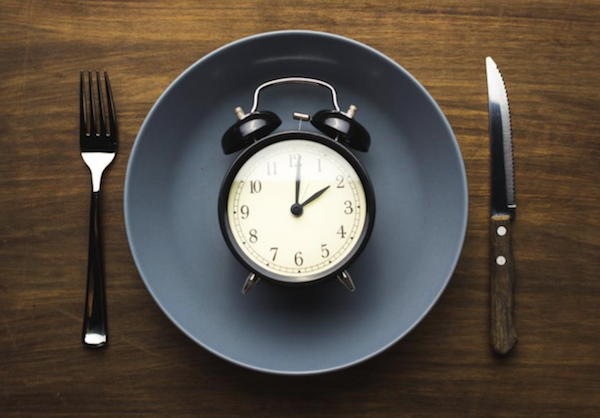 Another form of alternate day fasting popularized by my friend Brad Pilon is a 24-hour fast, where you take a 24-hour period and don’t consume calories. This is a more extreme version of fasting I would not recommend for most people unless you’ve done some previous fasting and know you’ll be ok doing it. Less frequent meals that are a little bigger will help you to stay a lot fuller for longer and help you to naturally eat less. One reason this can help with weight-loss is if you graze all day you’re never really full but are eating constantly. When you’re a grazer it’s very easy to overeat because you’re eating so frequently it’s easier to forget about snacks. If you wait until you’re physically hungry to sit down and eat a larger meal you’ll be more present, and aware of hunger signals and when to push the plate away. Over time if this goes well you can work your way into some fasting if you’d like, which pairs well with larger less frequent meals and snacks. It’s easy to neglect protein at meals when you’re busy focusing eating tasty carbs and fats, but this one change alone can fundamentally improve your hunger and fullness. An easy hunger and fullness fix is to start with leaner proteins, followed by high fiber vegetables and then adding your carbs and fats based on activity and food preferences. By focusing on protein and high fiber veggies at meals you’re going to feel fuller for longer while keeping calories lower. 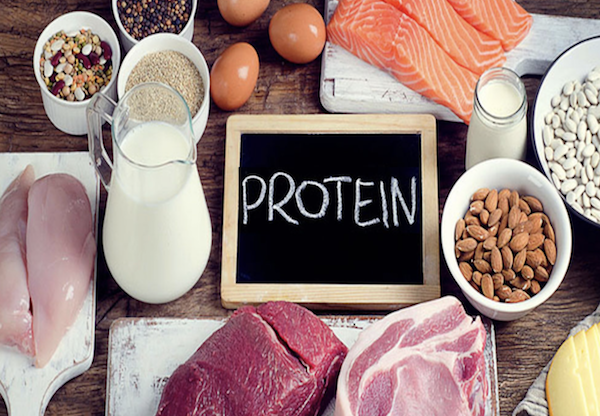 Protein is the most satiating of all the macronutrients, and high fiber vegetables take up more room in your stomach and slow stomach emptying. 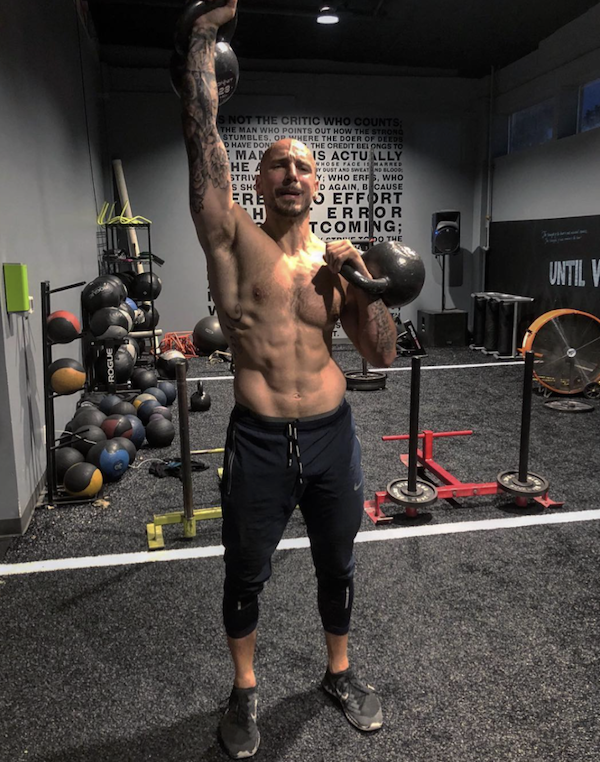 For fat loss it’s always a good idea to keep protein constant, and eat a good amount of vegetables as we outlined earlier in this article. Where you can, change the structure of your meals to help you to lose weight without tracking by changing your carb and fat intake. You should treat carbs and fats like a teeter totter in your nutrition – when one goes up the other needs to come down to make room in your calories for weight loss to happen. Now this doesn’t mean you need to go ultra-low fat or eat keto to be successful in your nutrition, but it does mean you need to be aware of how much you’re eating of carbs and fats. Both low carb and low-fat diets are both just as effective for weight loss when calories and protein are matched. This is because when you limit your intake of fats or carbs you reduce calories, and generally reducing one of the two is easier for people. Both low carbs and lower fat diets have been used for ages to successfully allow people just like you to lose weight. One of my favorite ways to help people who like carbs and fats succeed is with the carbs at night method. This is where you focus on protein, veggies and moderate fats during the day to keep you fuller for longer and avoids any big energy dips during the day. Then at dinner you reduce your fats and increase the carbs which fits in great with social events and dining out. This carbs at night method works well because I’m sure a lot of you are busy and on the go during the day and just need something to get you through the day. However at night you’re more likely to sit down, relax and enjoy your meal which means a larger meal with more carbs works well here. 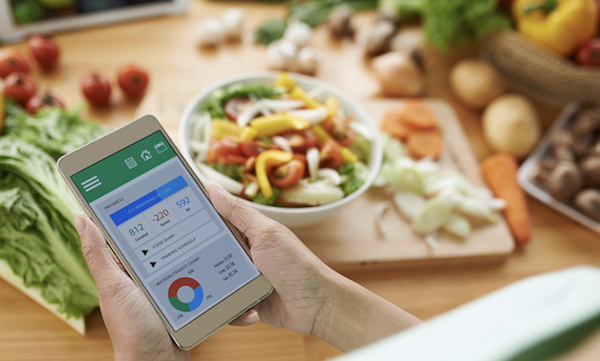 I think a more intuitive eating approach can be great, but the reality is if you’ve never tracked your food before it can be very easy to underestimate your calorie intake. On a long enough timeline of underestimating your calorie intake you’ll stall out your fat loss or even worse, start gaining fat. To ensure that doesn’t happen we’re going to look at what you need to be measuring to assess your weight loss progress. Scale Weight: I know you and the scale have a rocky relationship, but keep in mind the scale is just one piece of the puzzle. Scale weight can be easily influenced by your stress, fiber intake, sleep, exercise, carb and salt intake and much more. You can take your weight a few times per week and use an average of those but make sure its at the same time of the morning while eating normally. You can also do a once a week weigh in, which is less accurate but better for those who let the scale mess with their head. Progress Pictures: Once every two weeks after taking scale weight in the morning, snap some progress pictures. Take one picture front facing and one side profile picture, too. Use these pictures to assess your physical changes. Because you see your own body so much, any physical changes can go unnoticed unless you have progress pictures to compare to. Measurements: If your weight isn’t budging but you look leaner and your measurements are going down that’s still massive progress. However without taking measurements you’re missing out on a massive piece of the progress puzzle. At the end of the day you don’t have to track your calories to lose weight and get in better shape, but what you do need is guidelines and boundaries. Without any recommendations for controlling portions or specific foods anyone who is trying to be more of an intuitive eater is bound to overeat. Even without a history of tracking though, the guidelines and recommendations in this article will help you get off to a great start without feeling deprived or overly restricted, while helping you with weight loss! If you’re looking to improve your health and fitness and look, feel and perform better and you’ve been struggling to make changes with diets, overwhelming meal plans and advice that just doesn’t feel right for you, schedule a no strings attached free strategy session with our Precision Nutrition certified coaches, who can help you make and see a plan that is customized to you and fits your lifestyle and goes at your own pace. Click the link below to schedule your strategy session.